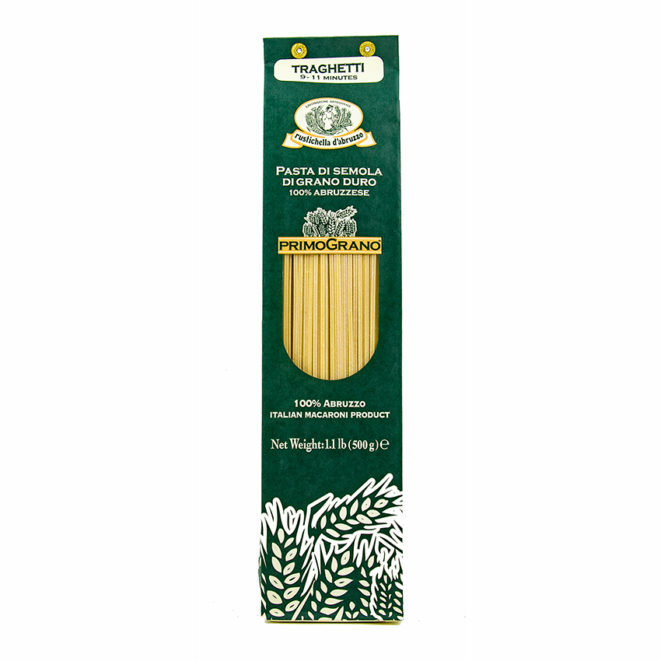 Exceptional whole wheat pasta is a proud tradition for Rustichella d’Abruzzo. 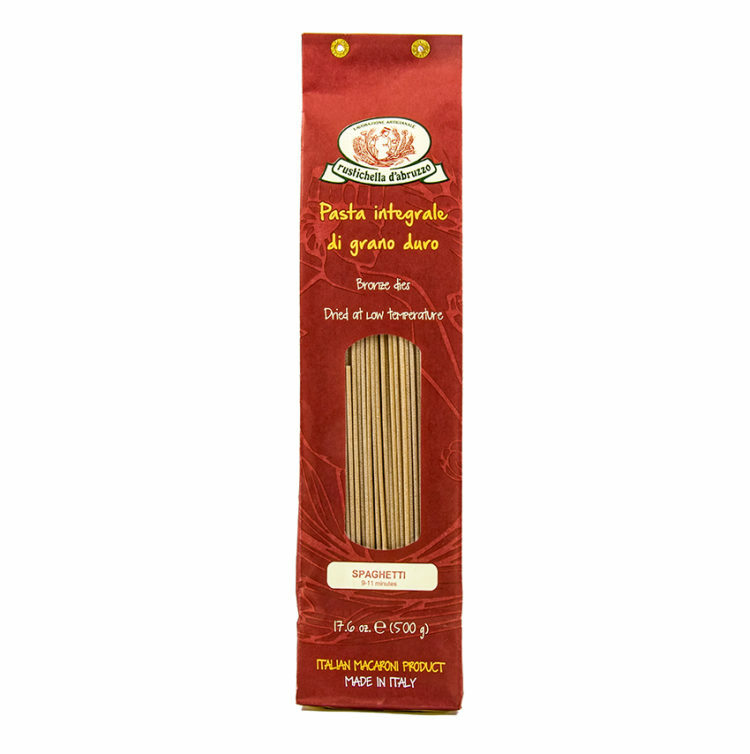 Made from 100% whole durum wheat semolina, this whole wheat spaghetti has wonderful bite and incredible nutty flavor that will change the way you think of whole grains. 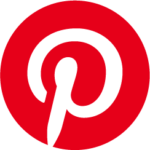 Simple sauces like pesto or roasted vegetables are great friends of whole wheat pasta. From the Italian word spago meaning “string or thread,” there is no pasta in the world more famous than Spaghetti. 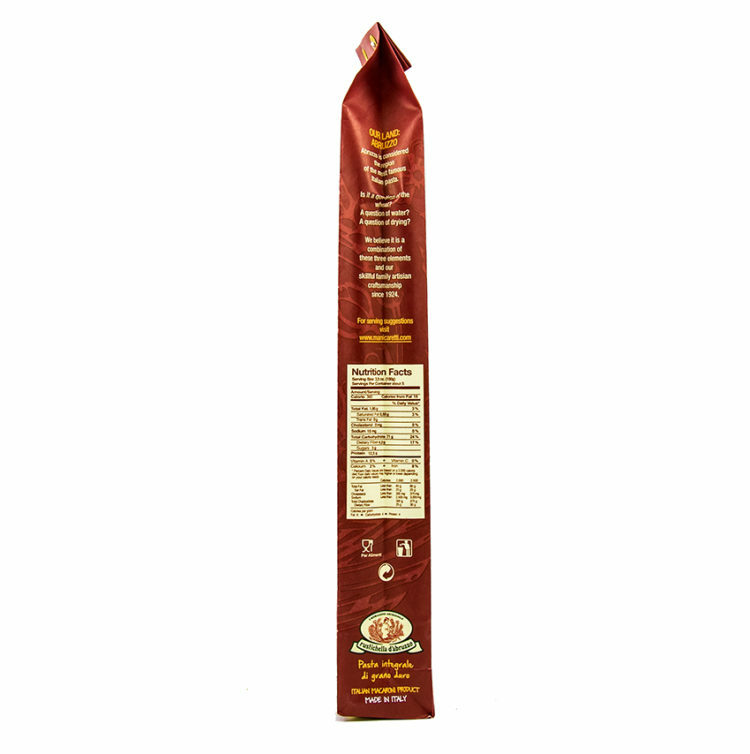 With its rough texture and incredible bite, it is for the true pasta lover. 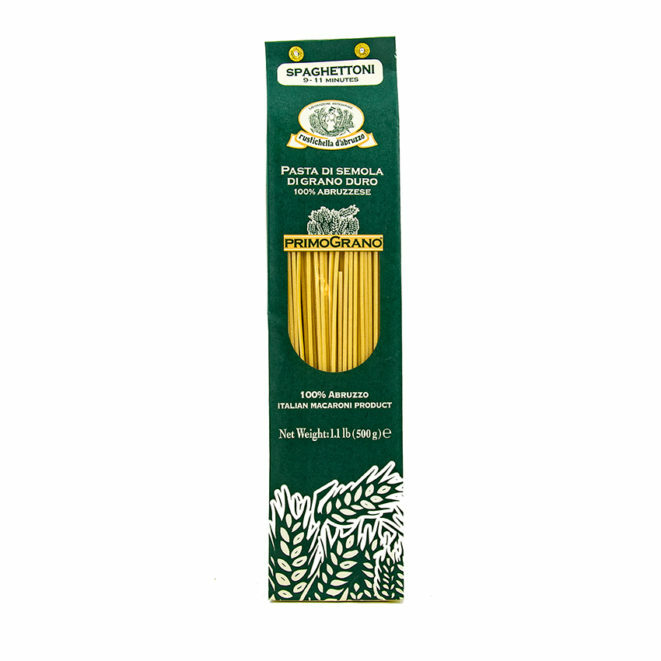 Exceptional Italian whole wheat pasta is a proud tradition for Rustichella d’Abruzzo. 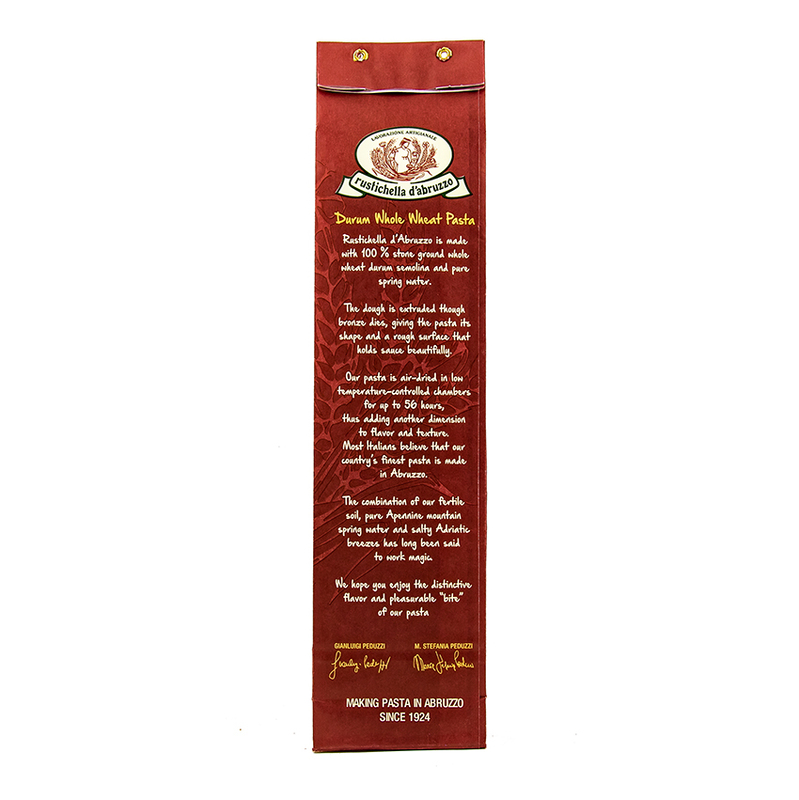 Made from 100% Italian whole durum wheat semolina, this whole wheat spaghetti has wonderful bite and incredible nutty flavor that will change the way you think of whole grains. 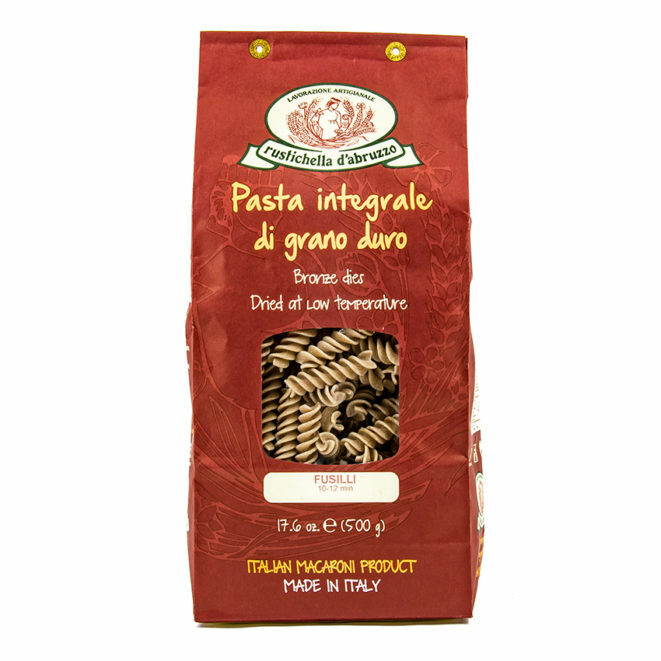 Simple sauces like pesto or roasted vegetables are great friends of whole wheat pasta. This is great with grilled vegetables, garlic and olive oil!